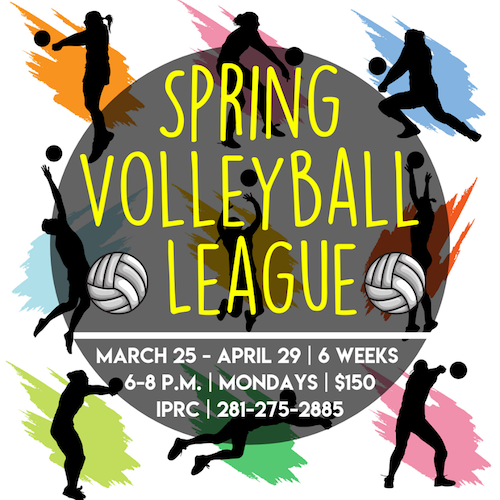 There's still time to register for the Spring Volleyball League, but HURRY - it starts Monday! 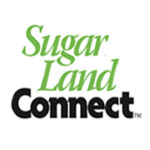 Open to ages 8-15. 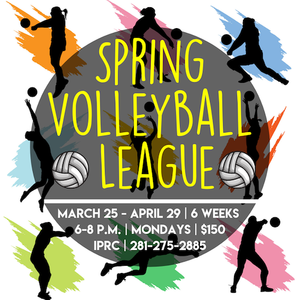 Call the IPRC for details at 281-275-2885.